A few days ago, members of our mailing list got the chance to pre-order copies of KH005, Computer Magic‘s Get a Job. Now, we are down to the last two copies of the tape! Danz, the brainchild behind Computer Magic, came up with the amazingly brilliant idea to offer two versions of the same release with a little twist — the last track on each tape is different. Luckily, out of the two tapes we have left, there is one copy of each version. (If you head on over to the store, you have the option to buy the tapes as a pair!) 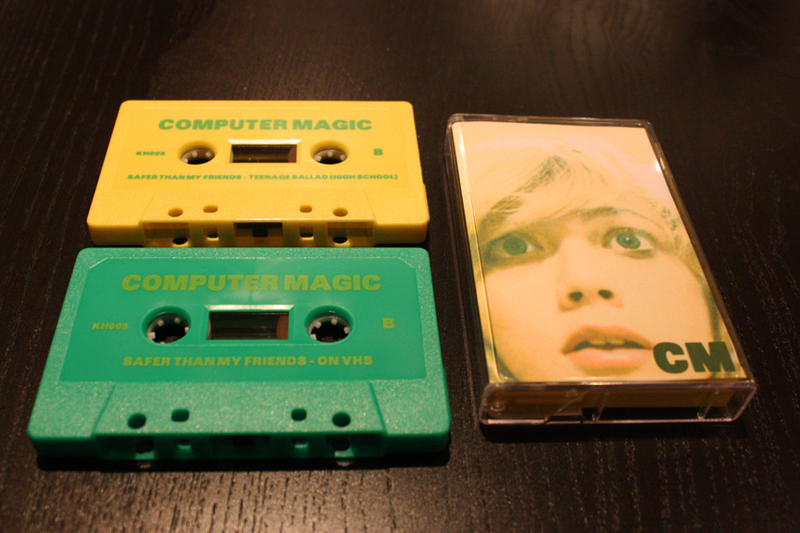 UPDATE: The yellow tapes have completely sold out; we have ONE (1) green tape remaining here. But, you’ll have to hurry up — we can’t guarantee these two tapes will last much longer!